Yes. It can and does happen. Contrary to popular belief and myth, there really are male nurses out there! And yes, we do encounter discrimination every so often – some greater than others, and some more severe. I have seen and heard it all from all walks of life. You would be surprised at some of the reaction and interaction I have experienced being a ‘male’ nurse. So my gender as a nurse has been a blessing and a curse. And there really is no rhyme or reason, no prediction, and no preparation. Some patients/families out there simply do not like nor want a male nurse, while some prefer them. Same goes for the doctors, some will unconsciously treat me ‘better’ or ‘differently’, while others will make my life difficult. Is it simply because I’m a guy? And some co-workers will also unconsciously ‘like’ me simply because I have muscles. God-forbid I bring skill and knowledge to the table?! All of these ‘challenges’ still are manageable. All of these so-called difficulties can be ‘worked around’ in most cases. Even at its most severe, I’ve only had to change patient assignments due to a patient/family/physician nursing gender preference. But, I’ve never had to worry about not practicing as a nurse. I have balked at some things I’ve experienced. I’ve moaned and groaned at past interactions. But mostly I just let it roll off my shoulders and simply move on – because in all instances I still get to practice as a nurse in this wonderful field of nursing. I still get to do the job I love in the setting I prefer and love. 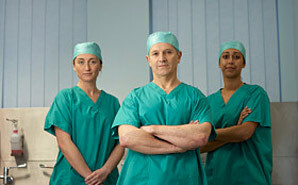 It seems in India – for a particular diploma nursing program – they will not accept male candidates for their program!? In fact this discrimination was petitioned – and lost! It seems that males are being prohibited to enter because the diploma program’s course work involves mid-wifery as well as pre and post-natal care?! To make matters worse, the higher court ruled that there is a sufficient number of male nurses already working in the areas they are needed – like jail, ortho department, mental health hospitals and operation theatres??!! As a nurse, male or female, we are taught to be culturally diverse – including transcultural nursing. We are encouraged and trained to be culturally competent practitioners, but this – in my humble opinion – is astonishing. How can you judge or even pre-judge, and ‘genderize’ the practices of a profession that works side by side with the field of medicine? Correct me if I’m wrong, but do they discriminate female candidates who have an interest in being an orthopedic physician? Or a male candidate wanting to pursue obstetrics? Original story from ‘The Times of India’ here. As well as the original commentary from ‘The Truth About Nursing’ here.